The US central bank, with complete independence regarding monetary policy, is striving towards maximum non-inflationary growth. Fed policy signals comprise mainly open market operations, discount rate and Fed Funds rate. Federal Open Market Committee (FOMC). It takes decisions regarding US monetary policy and makes crucial interest rate announcements eight times annually. It consists of 12 members (the 7-member Board of Governors), the New York Fed president and four more seats rotationally held by presidents of the other 11 Fed Banks. Fed Funds Rate. The rate charged by depositary institutions on each other on overnight loans. A change of Fed Funds rate is an explicit monetary policy signal, which impacts all stock, bond and currency markets. Discount rate.It is used by the Federal Reservein charging commercial banks in emergency liquidity cases. Changes in this rate are policy signals as well, though not of the magnitude of the Fed funds rate. Compared to the latter, the discount rate is predominantly lower. Treasuries are the crucial indicator for markets’ anticipation of inflation. When buying a bond, investors predominantly take into consideration the yield rather than the price. The interest rate of this financial instrument is inversely proportional to its price. Although there is no clearly defined relationship between the long bond and the USD, in general bond value decline (yield rise) owing to inflationary concerns can exert pressure on the greenback. Because the 30-year bonds supply started diminishing following US Treasury refunding, the 10-year bond gradually replaced the 30-year one as the benchmark. Depending on economic cycle stages, strong economic data can have different impact over the US dollar. When no inflation threat is present, the data can boost the dollar; when the threat heightens, strong economic numbers are capable of having a negative impact, following bonds selloff. Another factor affecting the long bond is shifting capital flows due to global considerations. Financial or political turmoil in emerging markets may boost US Treasuries and consequently the dollar. Such deposits are bank accounts in a currency different from the country’s local currency. Two examples can be given: Japanese yen accounts outside Japan are referred to as Euroyen, and euro-denominated accounts outside the Eurozone are termed EuroEuro. The Eurodollar rate is the interest rate on 3-month dollar-denominated deposits in banks outside of the US; it is a benchmark when interest rate differentials occur that can also help to determine exchange rates. With greater differentials there is more likelihood of rates being boosted; sometimes the relation is different, due to other factors. It is used by the Forex market when its yield is compared with the yield of similar bonds. The spread differential, or the yield difference between the 10-year US Treasury Notes yield and the non-US bonds yield affects the exchange rate. A higher US yield typically lends an advantage to US dollar over foreign currencies. It issues government debt and decides on the fiscal budget. Although it does not impact monetary policy, its statements on the dollar greatly affect the currency. The most important economic data in the US are: Labor Department reports (payrolls, the unemployment rate, average hourly earnings), GDP, CPI, PPI, international trade, productivity, industrial production, housing permits, housing starts and consumer confidence. The three essential US stock indices are: the Dow Jones Industrials Average (for short: Dow), the S&P 500 and the NASDAQ. Of theme the Dow, is likely to have the biggest impact on the dollar. In turn, the Dow is directly affected by: corporate earnings, interest rate expectations and global considerations. 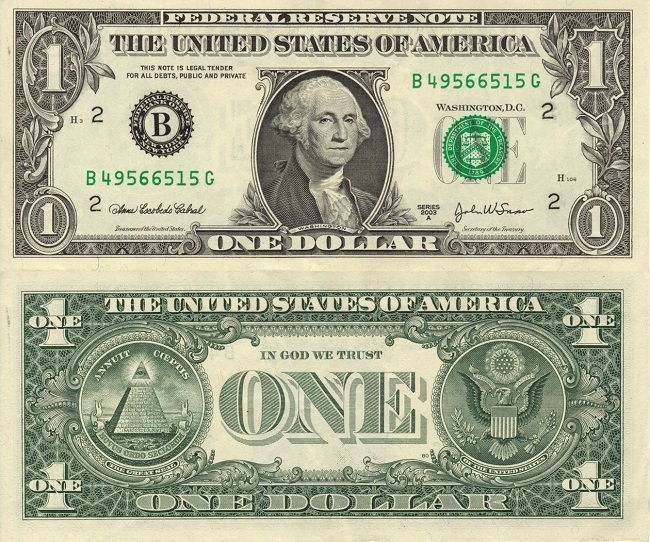 The dollar value compared to another currency can be influenced by a currency pair not including the dollar. It enables investors to speculate on Fed’s interest rate expected in the future, as indicated by the expected Fed Funds Rate or the overnight rate. The rate is calculated by subtracting the contract value from 100.